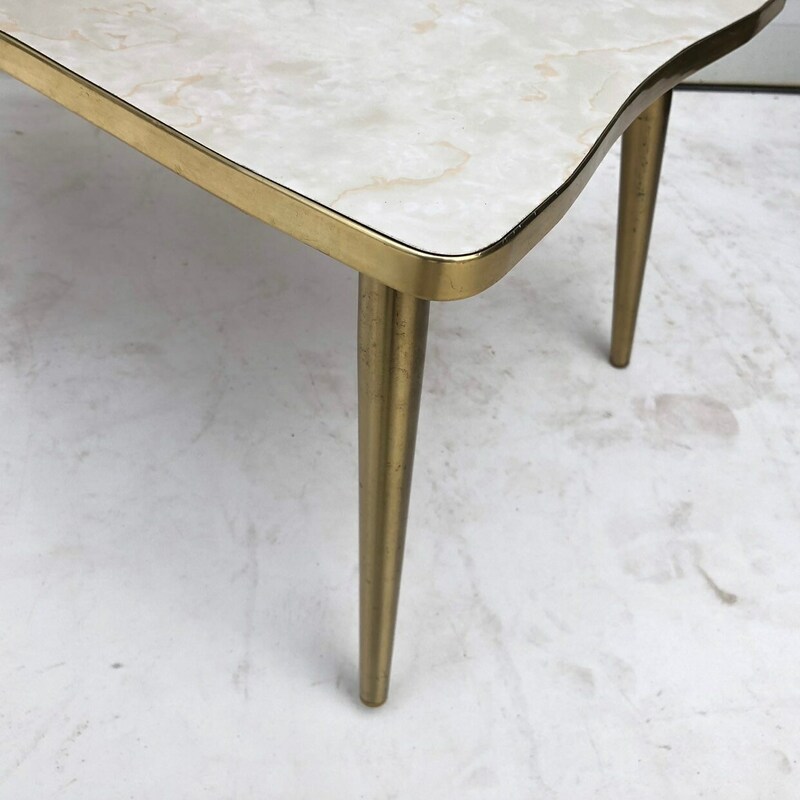 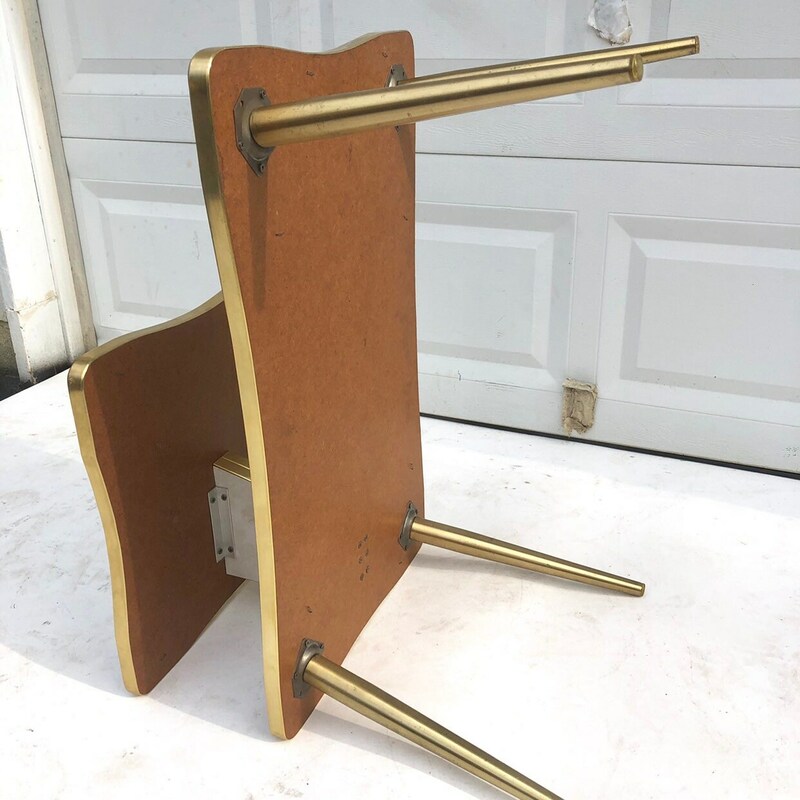 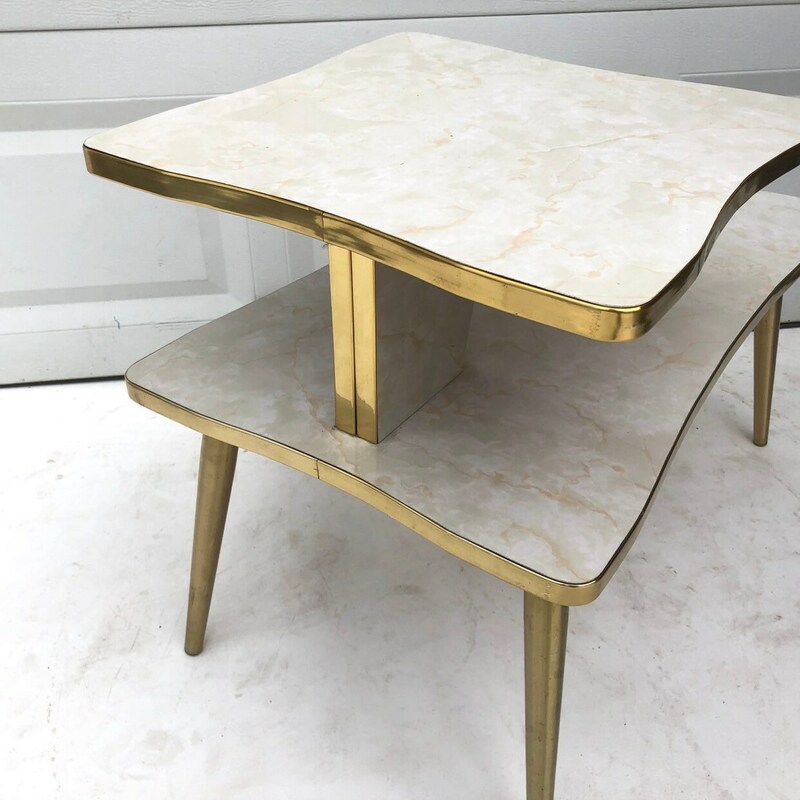 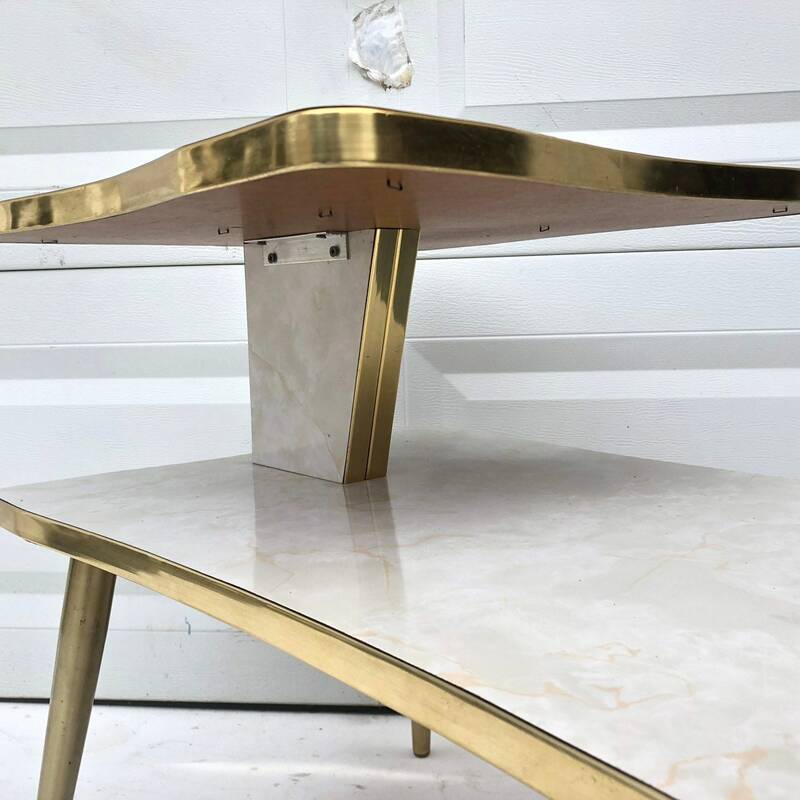 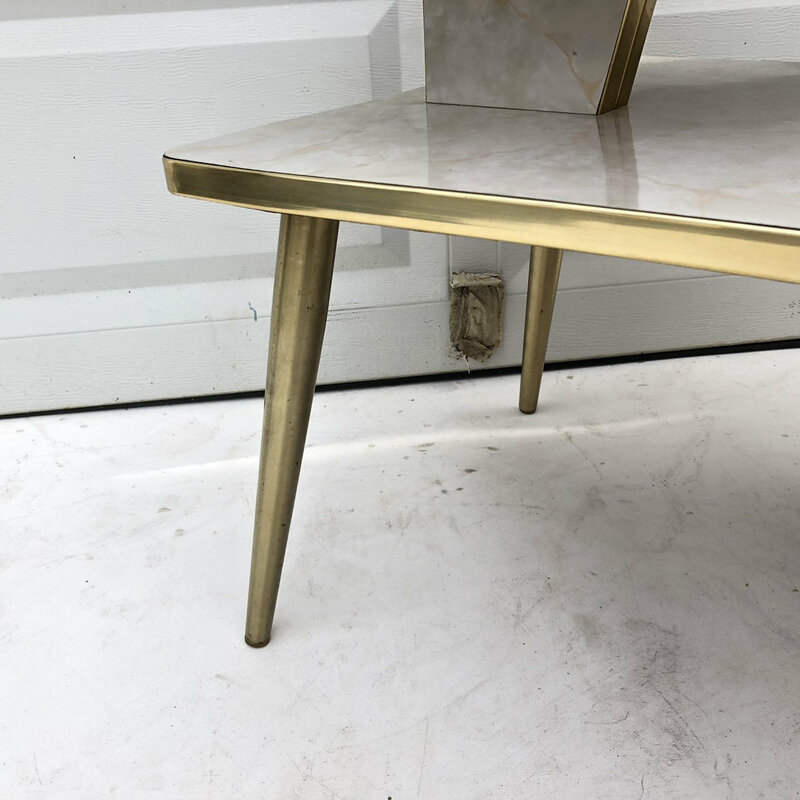 Stylish atomic modern end table features stylish two-tier design, tapered brass legs, brass trim, and vintage formica style tops. 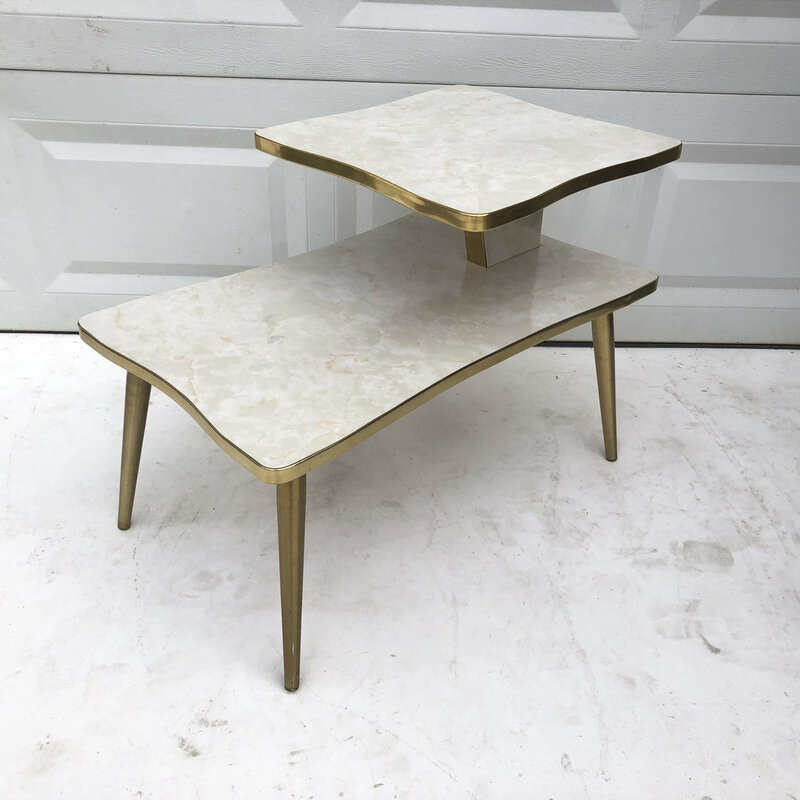 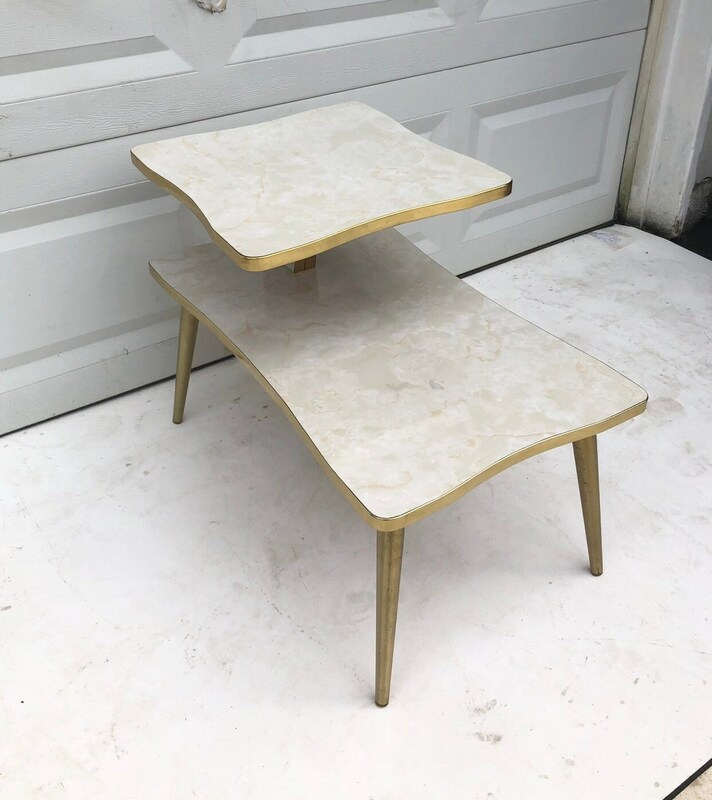 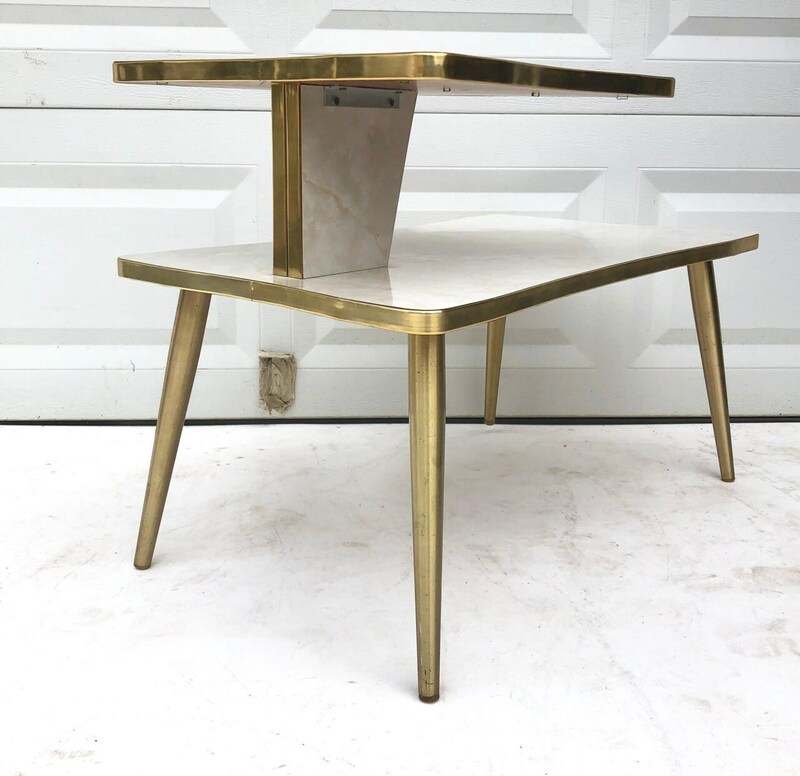 Sturdy mid-century modern side table perfect for use as a telephone table, nightstand, or lamp table. 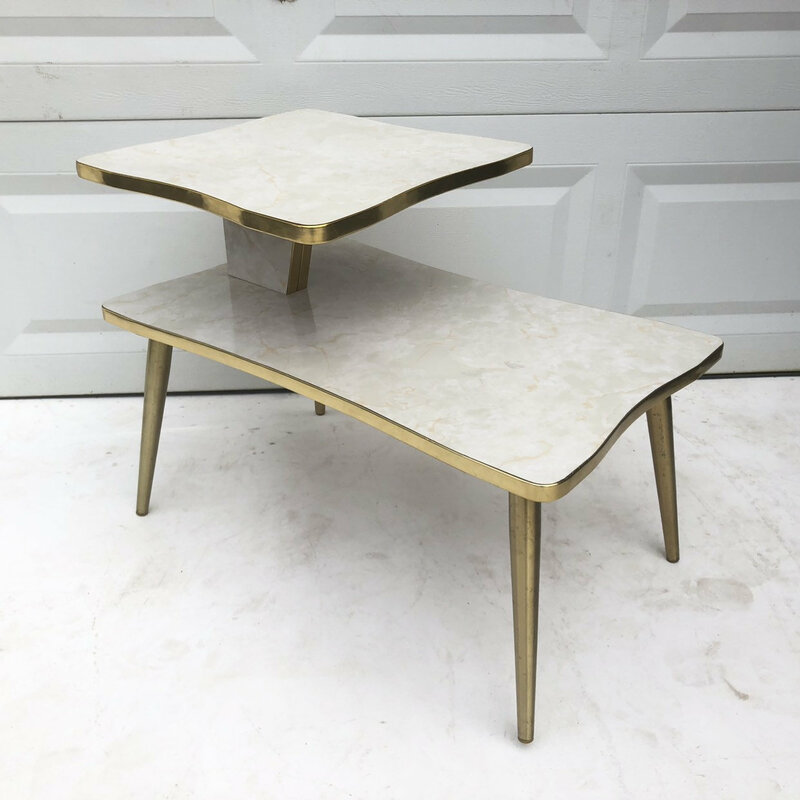 Impressive accent vintage modern console table perfect for home or business. 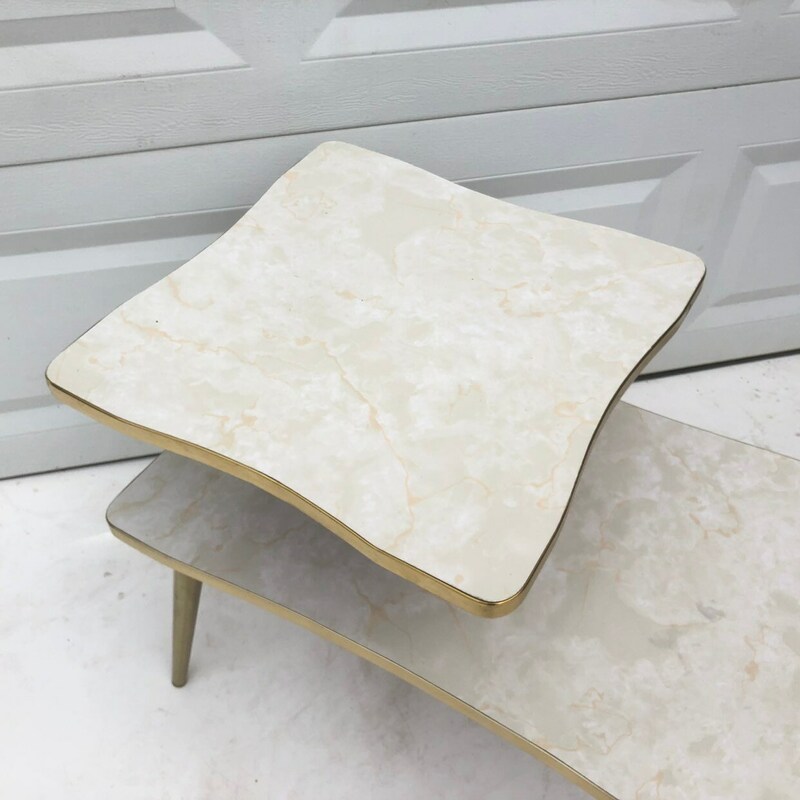 Condition: age appropriate wear, vintage finish has some light wear, some oxidation/edge wear.